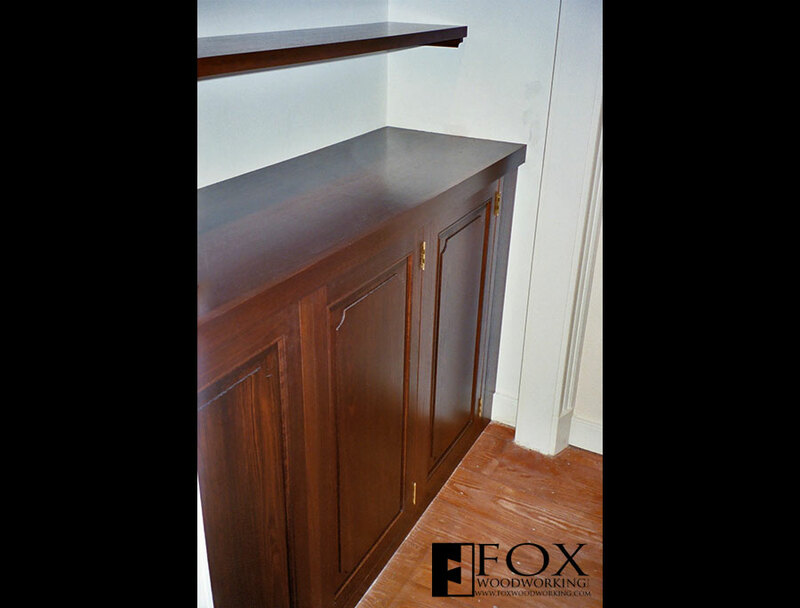 We created this walnut hutch for a client in Old City, Philadelphia. Tired of the bifold doors that kept falling down and wanting a more attractive piece of furniture to match their antique bed, they asked us to help them out. 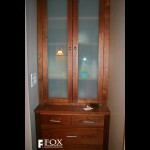 Drawing on some of their existing furniture, we designed this walnut hutch to fit into the closet space. 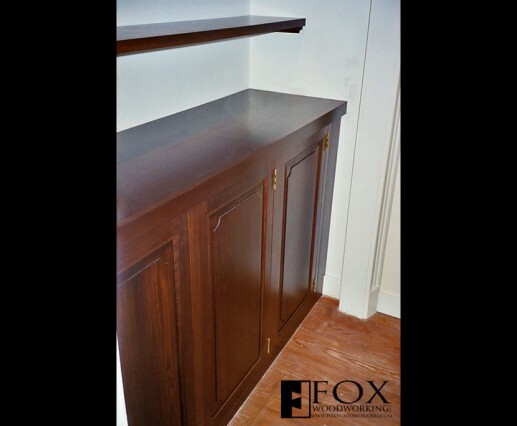 Since they also had a number of books that they wanted to keep close at hand, we also built the shelf above the hutch. All of the work is made from solid walnut.